What in the world are escape games? Real-life room escape games are a type of physical adventure game in which people are locked in a room with other participants and must collaborate to solve a series of puzzles, find clues, and escape the room within a set time limit. We’ve taken that concept and created games JUST for students at all grade levels. In our state-of-the art, really super impressive workshop (Dana’s garage), we develop theme-based puzzles that students must solve (independently and collectively) to “escape” or to help solve a mystery in some way. But what makes you know how to do all of this? Well, the Common Core State Standards Initiative is pretty clear about what they want our kids to learn, and we are pretty clear that your students need a way to show off their education, so we think we’ve nailed a format that will enable students to have FUN while showing off their newly-acquired skills. 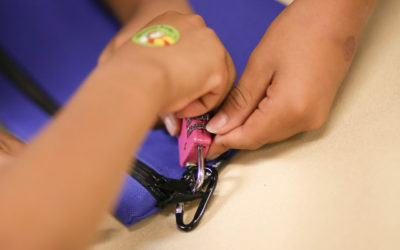 In all seriousness, we use elements from entertainment and education and ensure that we infuse a little of both into our games so that YOU, as instructors, can stand back and wipe tears of joy while your students stun you by using stragetgies that you have been painstakingly teaching them! Plus, we drink lots of coffee. Coffee makes us smart. A few factors go into the cost: How many students, how many classes, how many grade levels, how many days we will be on campus, whether we will be serving special needs students, etc. Please contact us, and we will give you a price customized for your individual needs. We only have enough money for one classroom. Is that ok? 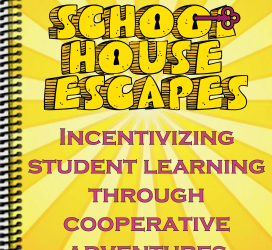 How do we pay to have Schoolhouse Escapes come out to our school? We take anything: cash, credit cards, purchase orders, chickens, coffee, homemade cookies… (well, almost anything). After we set your reservation, we will send all the paperwork that your school requires. Our program is also Title I friendly. So how does it work? Do we come to you? Do you come to us? Is it like a school assembly? We come to you! The best way to think of it is like a super fun field trip for your students, minus the school bus, bus driver, sack lunches, chaperones, lost children, car sickness, flat tires, and the overall boredom that comes from too much “down time” during traditional field trips. Do all the students participate at once? You didn’t really say how it works. Sorry, we got sidetracked on the last question amusing ourselves with reminders of when our own children went on field trips: One CLASS participates at a time, no matter how many classes or grade levels you book, and each child within that class is doing the game at the same time. We divide them into groups, so each group must collaborate in small group settings before communicating with the entire class for the finale. We give each class our full attention for their one-hour escape game experience, and then we move on to the next class or grade level. Where do the students go for the adventure? Ideally, we appreciate the use of an empty classroom or anywhere that isn’t their everyday space. This helps us with the immersion process that’s so helpful during escape games (making them feel like they ARE a spy or that they ARE searching for lost classmates in Egypt). But we’re pretty easy; we can work with what you have to offer us. Am I being judged by how well or poorly my students do during the game? Will you be reporting to administration? We won’t judge you by how well your students do, but we MIGHT judge your punctuality (JUST KIDDING!). Well, sort of kidding. It’s important that you show up at your designated time so we can ensure everyone has the same opportunities for fun. And no, in all seriousness, we are so busy having fun with your students that we don’t have time to create individual reports on how students performed during each game. What’s a module? What’s a unit? What’s a theme? We know this can be confusing. A module consists of ALL units from one theme. The pirate module, for example, has 9 units (K-8th grade). Schools don’t have to invite us to host an entire module; indeed, some schools don’t have all those grades. Some schools invite us to host a single unit (one specific grade level). And the theme is how we internally keep track of our modules: Pirate module, Robots module, Time travel module, etc.). How do you keep students from spoiling the games for everyone else? We can see how this would be a concern, but that generally cannot happen. Our games are different for every grade level, and even games among the same grade level are complex with many steps, so if any student could remember even ONE clue, that clue wouldn’t provide enough information to solve the entire game. Besides, we have super sneaky methods that make the game horribly boring for anyone who gets too far ahead of the class or knows answers in advance. In essence, anyone knowing answers in advance will get the SUPER EXCITING PRIZE of watching the entire class have fun without him/her!! Fun! So, your games cover Common Core standards? How does that work? Yes! Each game is designed specifically for YOUR grade level and covers no fewer than (3) Common Core standards. The students work on puzzles developed with certain standards in mind (mainly math), so they have no idea they are putting their knowledge to use in real world scenarios. Prior to our arrival, we will provide the standards covered in our game so that you will have a chance to review those skills with your students (if you choose). Or they can wing it. It works both ways. How can we be sure our students will like it? Most of them do! You can hopefully take our word for it (but we would definitely consider giving a refund if someone was like, “That was worse than going to the dentist!”). The students don’t realize they are doing testable stuff; they think they are simply getting out of class for an hour to go play games and mess around. 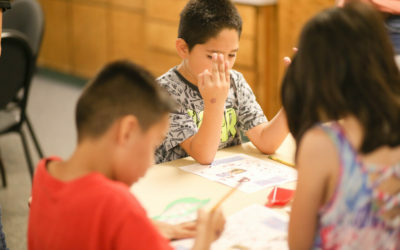 Instead, they ARE playing games and messing around—but they are doing it while using grade level-specific knowledge that YOU, their teachers, have so brilliantly taught them throughout the year. First, thanks for even asking this question because it means your students had a blast and are bugging you to let them do it again. To answer, we are developing new modules as fast as we can. Once we host a theme at your school (take Pirates, for example), we won’t present Pirates to you again as a theme choice for at least two school years (until the older students have moved on and the younger students get to the older grade levels). However, during that two-year period, we will have different themes and modules from which you can choose. We also have “first semester” games and “second semester” games (as well as quarterly). Do you have a super hero theme? Or a time-travel theme? How about a gold rush theme or an Egyptian theme? We have soooo many themes in development, but our favorite thing to do is work from requests. You have a theme in mind? We will custom design a new theme from your ideas, and then you can tell everyone that your school (or principal or teachers) came up with one of our most popular themes (even if it stinks). 😊 Just kidding. None of our themes will ever stink. What if my class starts running around acting crazy during the game? What should I do? Celebrate! We actually expect students to be high-energy. These games are intense and bring out their competitive spirits. I am a busy teacher. What will I need to do to prep before your visit? And what about during the escape game? Hardly anything! That’s the BEST part of Schoolhouse Escapes. We bring the locks, props, and puzzles, and you get to sip your coffee and take pics while we work with your students. We do ask that you manage any behavior issues, but let’s be real: Most kids are having so much fun that they don’t have time for misbehaving. We will provide a handy teacher guide prior to our arrival that will explain what YOU can do to verbally prepare them for their great adventure. But mostly, it’s on us. Should I read the teacher guide you send? Is it long? I am a busy teacher! YES. No. And we know. Keeping your busy schedules in mind, we eliminated the fat and left you only what you REALLY need to know. A few minutes of reading will help you prep your students for a wonderful adventure (with some tips on ensuring that all students at all levels have fun). When is the best time of year to book our reservation? Any time, but with one caveat: We have only a few weeks to work in December before you break for the holidays, so if you’re wanting to book our Christmas “Mrs. Claus Saves Christmas” games, you’ll need to get on our schedule pretty quickly, as those slots fill up fast. But what if we want to book you in the first month or two of school. What standards will they know so early in the year? Well, we do develop first quarter games, but for that early in the school year we would recommend hosting a game from the spring semester (4th quarter) of the grade prior. For example, if your fourth-grade class wants an escape game in September, we would recommend bringing a unit from third grade, 4th quarter. What grade levels do you currently support? Funny you should ask: Two months ago, we had 1st through 5th. Then a school called that wanted K-6, so we wrote two additional units and added them to our current module. Simple, right? The next phone call we got was from a junior high school interested in 7th and 8th, so guess what? We now offer games for middle school, too. The BEST thing about this company is that we are here for YOU, to accommodate your needs and provide games and fun for all ages. If you have a special request or question, please send us a smoke signal and we will get right back to you!